Ready to leave cooking for family, friends and mid sized gatherings behind? The Frontiersman is intended to help you forge a new path; maybe you have dreamed of turning your hobby into a career such as competitive cooking, event catering, mobile concessions or even a restaurant. 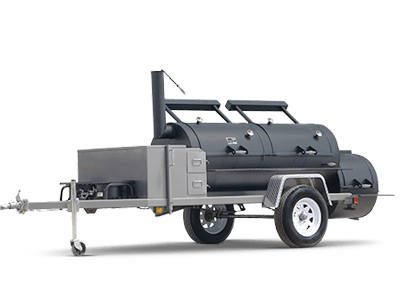 This 30" pit, built to your specifications, will help you conquer that dream. The Frontiersman is available in either a single, double or triple door model; call or e-mail us to custom configure the Frontiersman to your specifications.